Today I took one step further in my transition to barefoot walking. I went to Fotkultur in Malmö and bought a pair of black Vivo Barefoot Ra. 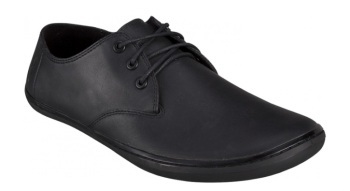 The Ra is one of the most classic VIVOBAREFOOT styles to date. The sumptuous vegetable tanned leather upper sits on the original VIVOBAREFOOT sole. It’s a truly versatile shoe; smart enough for the office and stylish enough for a night out, offering barefoot health benefits from day-to-night. I wanted real barefoot shoes which means no heal, no built in support and a thin flexible protective sole. The VivoBarefoot concept gives me that. – Ultra thin 3mm TPU sole. 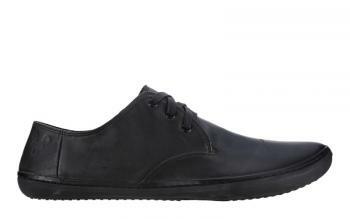 – Vegetable tanned minimum chrome leather upper. The lining is Naturetex 50 which is made from 50% recycled plastic bottles. I like the slogan, At Cosmo we strive to make the world we live in a better place. – Vivo Barefoot Ra is a more “dressed” shoe. – Keen Sayulita Lace is a leisure shoe. – Nike Free 3.0 V2 is for walking and running (when/if I want to run). – Keen Sun Valley Slipper is my indoor shoe, I’m usually barefoot at home. Read more in the Tag Archives: barefoot. Posted on July 5, 2011 by BengtPosted in Bits and piecesTagged barefoot.